High Tea at No 1 William at the Australian Museum Sydney is a traditional menu done well. Bring your Nan, she’ll love it too! When you picture a museum, you’ll most likely think of old artefacts in glass cabinets with tiny plaques to read. After all that historical education you’re bound to need some kind of refreshment. Lucky for you, there’s a restaurant on the roof of the Australian Museum, with killer views and great food! The day we visited was a rainy Saturday and even the grey sky couldn’t dampen the mood. There were lots of families around who’d clearly been through the museum exhibits first, judging by the “I saw bones!” conversations of the excited kids and their grandparents. 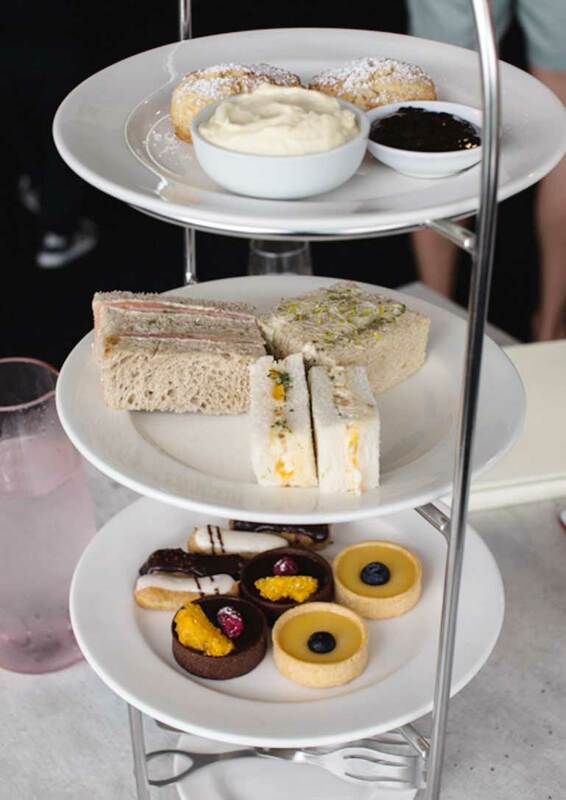 High Tea Society has done a lot of high teas across Sydney (it’s our job after all!) and No 1 William has one of the most spectacular views around. 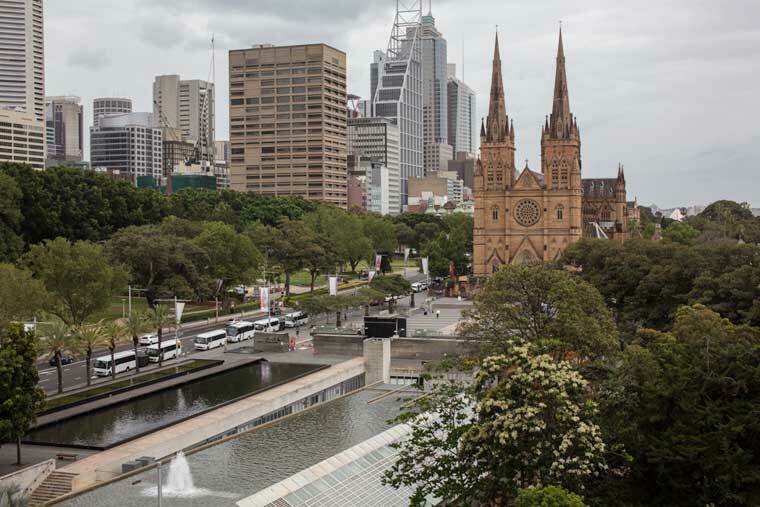 Sweeping from the city, across to beautiful St Mary’s cathedral, through the Domain down to the harbour and across to the Finger Wharf in Woolloomoolloo – we warned you it was sweeping! The high tea itself is refreshingly traditional, instead of overly whimsical and modern which a lot of the time can miss the mark unless there’s an award winning pasty chef on board. The three ribbon sandwiches were egg, chicken and salmon. All well made and enjoyable. And that’s it for the savoury options. No added extras like other venues. This is clearly a high tea you can actually do for afternoon tea, not a full meal in and of itself, and it helps to keep the cost down too, it’s only $35 a head which we think is a bargain. The sweets were tarts and éclairs. While the éclairs had a great custardy flavour – chocolate and vanilla – because they’d been refrigerated their choux shells had gone soggy. That’s a shame and something the back of house may want to address. The two tarts though were delicious. The chocolate tart was a dark ganache in a shortcrust shell, topped with dehydrated orange and raspberry. Silky, creamy and not too sweet. The lemon curd tart had a buttery citrus zing that any CWA lady would be happy to put her name to. The same can’t be said for the scones though. While they had a great flavour, these ones were really quite crumbly, but in the end that didn’t worry us, there was plenty of jam and cream to stick them back together again! All in all, if you’re after a more traditional menu done well, No 1 William is for you. Bring your nan, she’ll love it too! 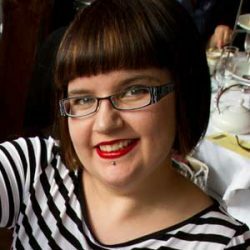 Melanie Pike is one of our Sydney contributors. In her life outside of champagne, tiered cake stands and fine bone china, she’s the Editor of the Fernwood Magazine. 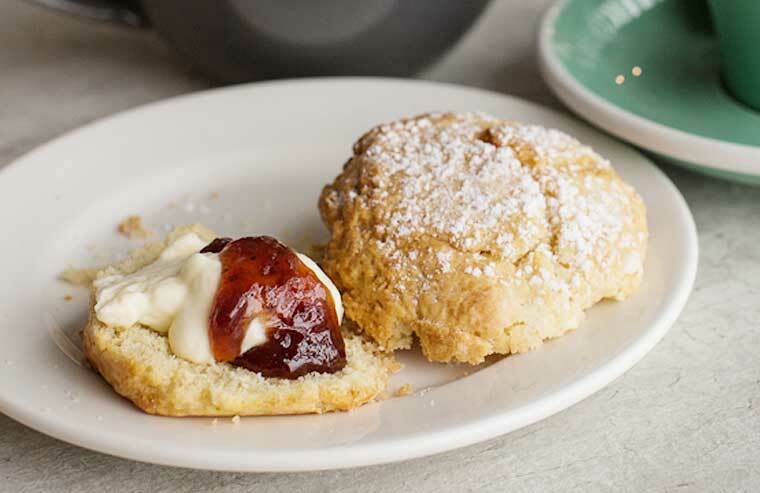 After a long week of writing about sugar-free diets and the latest gym sessions to get her readers in shape, she sneaks away to sample the delights of some of the best high tea venues in Sydney. She’s covered from Katoomba to Kiama and almost everywhere in between.